The Boston Conservatory Theater Ensemble will present "Sweeney Todd: The Demon Barber of Fleet Street," from Oct. 28 - 31 at the new Boston Conservatory Theater, located at 31 Hemenway Street in Boston’s Fenway neighborhood. With music and lyrics by Stephen Sondheim and a book by Hugh Wheeler, the production will be directed by Neil Donohoe, Director of the Conservatory’s acclaimed Theater Division. Choreography is by Michelle Chassé. "Sweeney Todd" will be the first fully staged musical theater performance in the Conservatory’s new and improved theater building. Marking the Conservatory’s first major facilities project in 50 years, the “Hemenway Project” was a $32 million, 16-month-long renovation and expansion project that effectively adds 16,000 new square feet of rehearsal and performance space to the building, as well as a completely renovated, state-of-the-art 300-seat theater with new orchestra pit, air conditioning and a host of technical upgrades. This popular musical tells the tale of Sweeney Todd, a murderous barber driven by revenge, and his partner in crime, Nellie Lovett, a baker who disposes of the bodies of Todd's victim's by baking them into her pies. 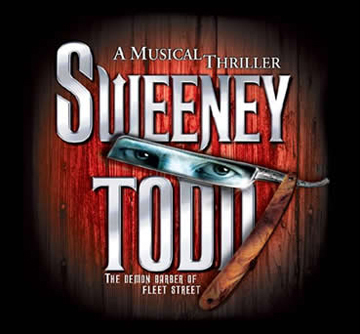 Originally opening on Broadway in 1979 and billed as "musical thriller," "Sweeney Todd" won eight Tony Awards including honors for Best Musical, Best Book and Best Original Score. Starring Len Cariou and Angela Lansbury, the original production was directed by Hal Prince. There have been numerous revivals and re-imagings since then, including a film version starring Johnny Depp. For tickets, call 617-912-9222 or visit www.bostonconservatory.com.